The events listed below were held as part of the program of events presented by the Lawrence Wilson Art Gallery during 2017 in collaboration with partners. Join us for the Lawrence Wilson Art Gallery’s quarterly program for individuals living with dementia – a tour and forum for discussion through looking at art. A specially trained facilitator highlights themes, artists and exhibitions through a shared exploration of the artworks on display. Family members and carers are welcome. Caine Chennatt investigates the role cultural organisations can play in fostering inclusive communities. On being awarded a Churchill Fellowship, he travelled to art galleries, museums, performing arts centres, and community organisations in South Korea, Japan, US, Canada and the UK this year, researching current models for disability-access and inclusion programs. 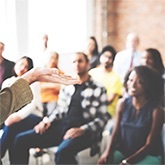 In this talk, he will share an overview of his findings on best-practice cultural access programs, disability-led digital initiatives, and insights on how organisations can become more inclusive; followed by a discussion on opportunities for arts organisations in Western Australia. This event is presented as part of the UN International Day of People with Disability (IDPwD). Slow your day down by joining us for a different kind of art gallery tour. Much like a mindfulness exercise, where you focus on your breathing, in this tour you allow your mind to settle on the artwork on display. The 45-minute session involves collaborative viewing of selected artworks with the theme of empathy and compassion, followed by an informal discussion. 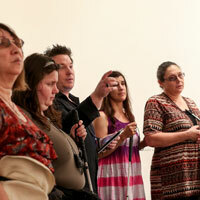 Join us for a touch and verbal descriptive tour of the current exhibitions. 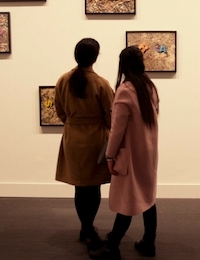 A trained guide delivers descriptions of the visual elements of artworks exhibited, along with tactile opportunities using mixed media and 3D printed translations. Tours are free to attend and open to companions and carers. Join us to hear how Laurie Fossier Mills’ fascination with glass has been an exciting personal journey of discovery, exploring new concepts and glassblowing techniques. 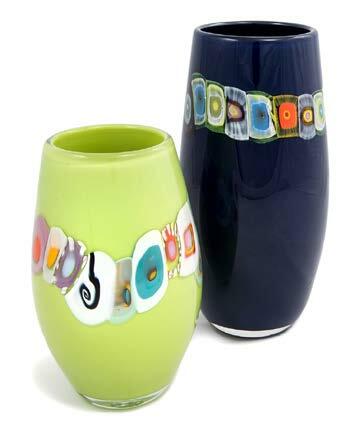 Laurie’s development as an artist and director of Beach Gecko Glass has come from belonging to a glass community that generously exchanges its experience and insights - it is a complex medium with endless possibilities. Beach Gecko Glass products will be also available for purchase at this event. 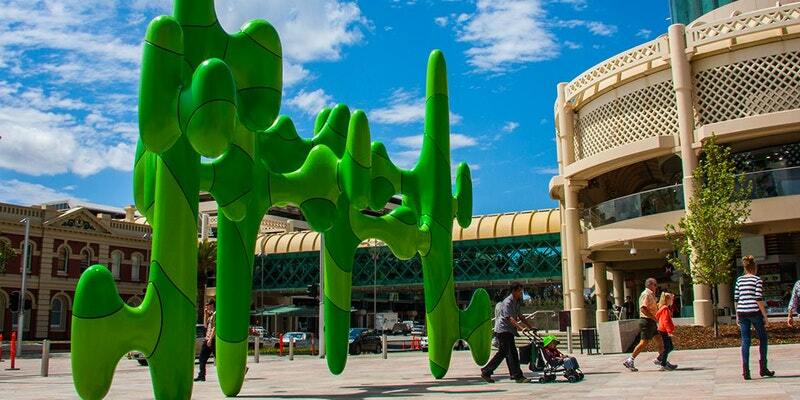 Experience the artwork at LWAG in Australian Sign Language. Join us for a free tour in Auslan of the current exhibitions on display guided by a gallery staff member and interpreter from Auslan Stage Left. 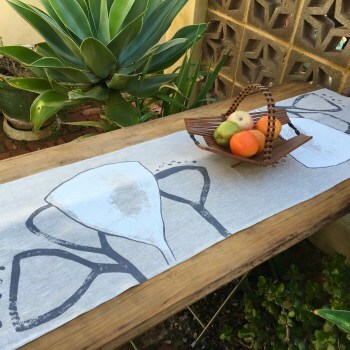 The Tiwi Design art centre continues to produce unique and beautiful work specialising in printed fabrics. Looking at "The Seven Deadly Sins"
Using archival images, Madeleine Clear, co-founder of Tiwi Design, reminisces about the early years of Tiwi Design, where she worked closely with artists in the late 1960s. 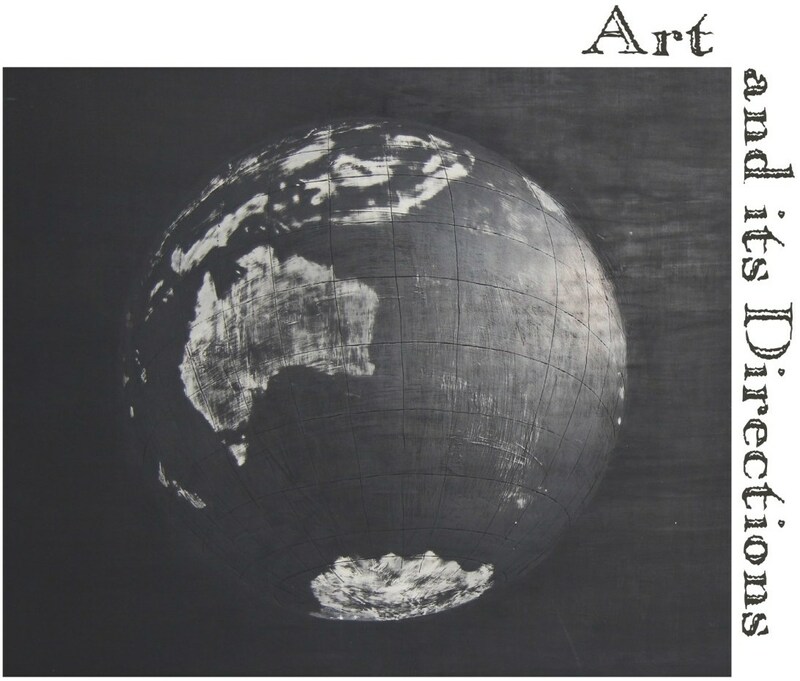 From humble beginnings as a printmaking workshop, it went on to gain national and international recognition as one of the earliest and most successful Aboriginal art projects in Australia. 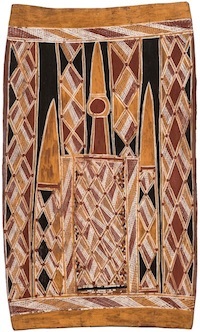 Timothy Cook, Kulama, 2015, ochre on linen, Museum of Contemporary Art commission. Courtesy the artist and Jilamara Arts and Crafts Association ©Timothy Cook/Licensed by Viscopy 2017. Do you have an iPad or Android tablet and thinking about using it more creatively? 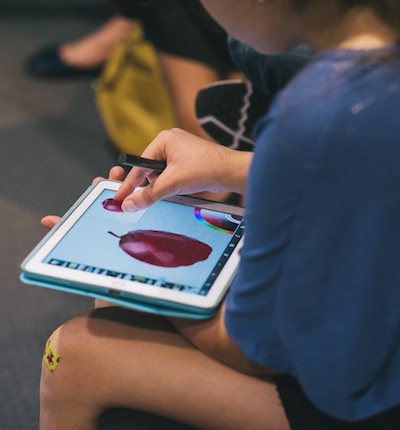 Learn how to draw and paint on tablets such as iPads or Surface, in this fun and free workshop! Express your artistic side with an easy-to-use app, with powerful, dynamic, and intuitive painting tools. This workshop is recommended for anyone that desires to create in a digital medium. Each participant will need to bring their iPad or Android tablet device to the workshop. During the session, we will be using the app ArtRage. Download the app prior to attending the workshop (available on App Store and Google Play). 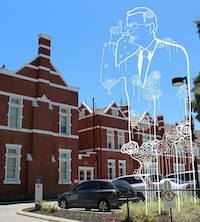 This event is part of the Big Draw Perth festival. Join us for this unique DADAA x LAWRENCE WILSON ART GALLERY event as part of BIG DRAW 2017, featuring SARAH POLLARD and LIAM HUBBARD. 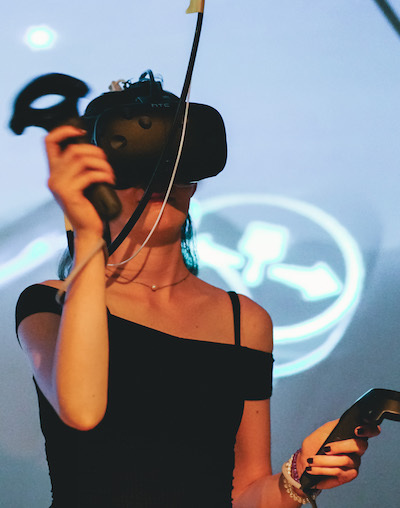 In this performative virtual reality drawing session, Sarah and Liam will don a virtual reality headset, drawing in an virtual environment with their canvases projected for the audience. Following each set, guests will be able to immerse themslves in the virtual environment as well. 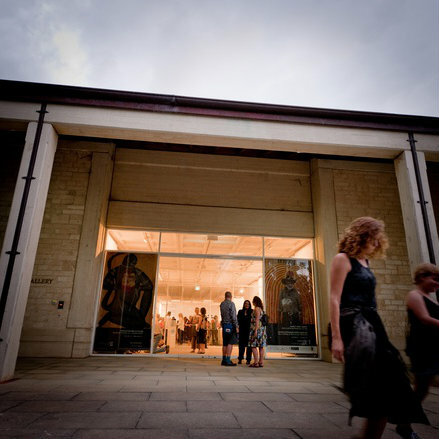 This event bring DADAA's Mixed Reality project to the Lawrence Wilson Art Gallery, to take part in the global campaign for drawing, as part of BIG DRAW PERTH. Not only did the early Renaissance painters seek to improve their methods of spatial illusionism, they believed that sophisticated knowledge of geometry was integral. Leon Battista Alberti (1435) believed the first requirement of a painter was to know geometry, whereas Piero Della Francesca went to great lengths to reduce painting to principles of perspective and solid geometry. Join Dr John Bamberg of the UWA School of Mathematics and Statistics to see how perspective art leads to interesting mathematics. We will see that there is more than meets the eye when we explore the geometric properties of perspective. John Bamberg grew up north of Melbourne, and completed a BSc (Hons) in pure mathematics at La Trobe University in 1999. He came to UWA in 2000 to study for a PhD under the supervision of Prof Cheryl Praeger and Prof Tim Penttila, in the subject of finite group theory (the mathematics of symmetry). 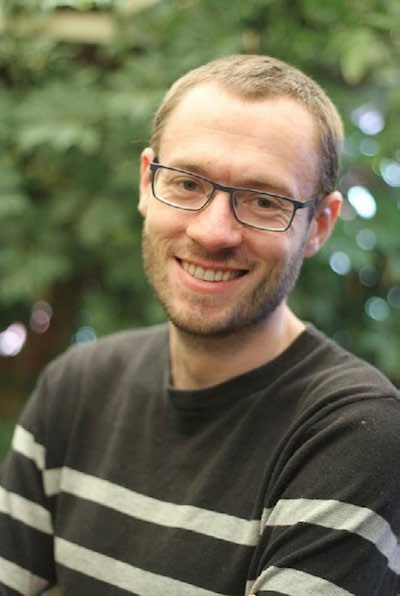 His first postdoc began in 2004 (an ARC Postdoctoral Discovery grant) with Tim Penttila, which lead him into another branch of mathematics; finite geometry. In 2006, John was awarded a Marie Curie fellowship at Ghent University (Belgium), where he lived for nearly three years, before returning to Perth to begin another postdoc in collaboration with Gordon Royle and Michael Giudici. In 2012, he was granted an ARC Future Fellowship (at UWA), and as of the beginning of 2017, he has evolved into a regular teaching and research member of the university. 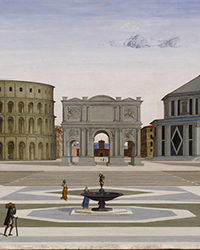 Artwork: Fra Carnevale, The Ideal City (detail), c. 1480-1484, Walters Art Museum, Baltimore, USA. Join us for a special one-night-only screening of MYSTERIOUS MASTERPIECE: Cold Case Torrentius, a documentary film by Maarten de Kroon in cooperation with Jeanne van der Horst. The film investigates the incredible case of the 17th century Dutch painter Johannes Torrentius and presents the hallucinatory story of a libertine and painter of genius whose one remaining painting is now part of the collection of the Rijksmuseum. The painting, a wooden circular panel, was used for a long time as the lid on a raisin barrel in a grocery shop in Enschede, a town in Holland. 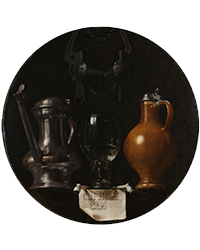 Even after extensive research his Still life with a bridle , remains a mystery. Mysterious Masterpiece re-opens the case to examine what is known of the painting and what extensive research done by the Rijksmuseum shows. What medium did Torrentius use? Did he use a camera obscura, and if so: how did he work with it? What about his ties with the Rosicrucians? An international team of witness specialists are consulted to get closer to Torrentius’ mysteries. Join us for a drink after the film. 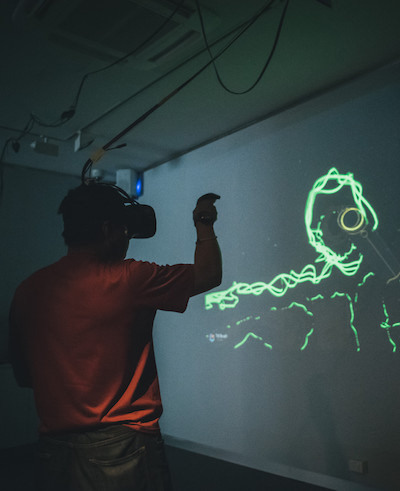 Wear a Virtual Reality headset to see another world and paint in immersive 3D using Google’s cutting-edge Tilt Brush technology. Works can be done individually, or participants can take turns and work collaboratively. See how it works here. Each day of the festival is split into four hour-long sessions for 16 people between 11am-5pm. To book your desired session(s), follow the link below and select the appropriate date(s) and session(s) that best suit you. Dates: Multiple sessions from 12-20 October. Register online. Come to LWAG’s Art Party to round up and celebrate the year! Bring your friends and meet new ones. Enjoy a free sundowner. Experiment with art activities. Listen to live music, you may win a door prize too! Students are particularly welcome. This is an opportunity for newcomers as well as regular visitors to explore the gallery and to tour the latest exhibitions in a relaxed and friendly atmosphere. Educators and primary and secondary teachers are invited to join a teacher professional development session for Being Tiwi. Discover new ways to inspire your students to engage with contemporary art, with a hands-on session lead by Lead Artist Educator Ella Condon from Sydney’s Museum of Contemporary Art Australia. Investigate key artworks in Being Tiwi through an in-depth gallery exploration with a focus on artists’ practice and curatorial themes and ideas. Experience a range of innovative creative learning strategies, including sensory responses such as performance strategies, ephemeral and collaborative group work, and be inspired to see and think about art in new ways. Discuss ideas for the classroom and experience the digital learning resources developed to accompany the exhibition back at school. if it came to life? Explore the exhibition Being Tiwi with MCA Artist Educator Ella Condon from Sydney’s Museum of Contemporary Art Australia. for families. The multisensory experience celebrates thinking and seeing in new ways, encouraging experimentation and collaboration along the way. 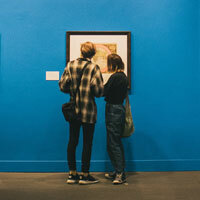 Connect with artworks via fun gallery based activities. Support for family members with physical, intellectual, learning and sensory access requirements will be available during the program. For children ages 4-12 and their parents or caregivers. Choices in mathematics are often made for aesthetic reasons: a degree of freedom is added here to preserve symmetry; a partial derivative is employed there because it establishes harmony and so on. The use of aesthetic considerations in mathematics hides a deep mystery. Mathematicians make progress by following their aesthetic instincts. Soon enough their mathematical results are picked up in physics and used to describe nature. One striking example of contemporary relevance, is the use of results in number theory for cryptography. According to the number theorists G. H. Hardy, mathematicians pursuing results in number theory were producing art. This artistic endeavour seemed all but useless until it was picked up as the basis for cryptography and, subsequently, cyber security as we know it today (your home wi is protected by number theoretic cyphers, involving primes). Is, then, the beauty of mathematics a guide to the truth? And if so, what implications does this have for our understanding of mathematical and artistic practice and their relationship to the scientific method? ‘Talking Allowed’ is a new series of presentations offered by the UWA Institute of Advanced Studies and the Lawrence Wilson Art Gallery. Join us for an engaging tour of the exhibition Scratching the Surface: A selection of works from the Janet Holmes à Court Collection. The tour is designed to connect participants living with dementia in a shared exploration of art through personal insights, emerging interpretations and memories. Partners or carers are welcome. Join us for the Lawrence Wilson Art Gallery’s quarterly program for individuals with dementia – a tour and forum for discussion through looking at art. A specially trained facilitator highlights themes, artists and exhibitions through a shared exploration of the artworks on display in the exhibition Scratching the Surface: A selection of works from the Janet Holmes à Court Collection. Family members and carers are welcome. Slow your day down by joining us for a different kind of art gallery tour. Much like a mindfulness exercise, where you focus on your breathing, in this tour you allow your mind to settle on the artwork on display. The 45 minute session involves close looking of selected pieces of artworks with the themes of empathy and compassion, followed by an informal discussion. Talking Allowed: Is it OK to remove statues? The recent removal of Confederate statues in the United States has resulted in extraordinary acts of violence, heightened racial tensions and death. Debate continues to rage about whether or not the removal of public statues is akin to erasing the past and “changing history”, as President Trump put it. Is Trump right, or is the truth far more complex? Closer to home, debate is mounting about Australia’s colonial monuments. 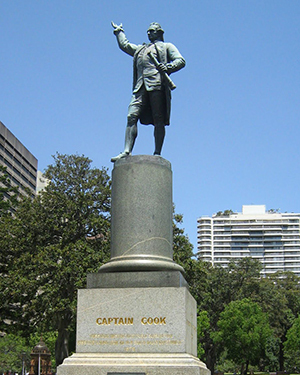 Stan Grant’s statement that the inscription on the statue of James Cook in Sydney’s Hyde Park “maintains a damaging myth” has been met with astonishing claims. One commentator has gone so far as to liken Grant’s questioning of the statue’s plaque and its doctrine of discovery to the cultural destruction of the Taliban Left. Join us for this Talking Allowed to consider what it is about statues that render them the focus of struggle and to explore some of the complexities that surround their removal or modification. of Sir Sidney Nolan - celebrating Nolan’s Centenary year, and highlighting his works in the UWA Art Collection. 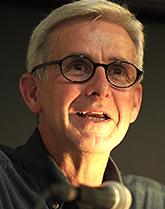 Professor Philip Mead is inaugural Chair of Australian Literature, School of Humanities and Director of the Westerly Centre. Dr Catherine Noske is a Lecturer in Creative Writing in English and Cultural Studies in the School of Humanities and is Editor of Westerly magazine. 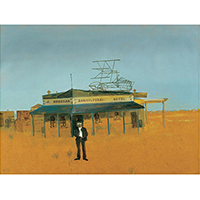 Image: Sidney Nolan, Agricultural Hotel, 1948, Ripolin on board, 90.2x120.5 cm (h,w), The University of Western Australia Art Collection, Tom Collins Memorial Fund, 1953, © The Trustees of the Sidney Nolan Trust. Register: FREE event | Listen to the audio recording below. The list of artwork referred to in this recording can be read here. of Women’s Art, the exhibition weaves together stories of land, body, and industry, to explore histories and the ongoing impact of colonisation. Join Alison Atkinson-Phillips as she discusses memorials and public artworks that explore the histories of colonisation and Australians’ complex relationships to country. Blue Lawn Designs was set up by husband and wife team, Chris MacDonald and Claire Bradshaw. Join us to hear Chris discuss how their backgrounds and interests have converged to create a successful screenpinting textile business which continues to shape their lives and interests in ways that are fun and satisfying. For more information visit the Blue Lawn website. Blue Lawn textiles will also be available to purchase at this event. 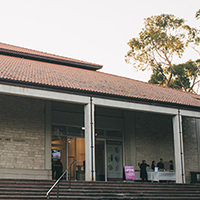 UWA’s thriving community of emerging composers will work closely with mentors Christopher Tonkin and James Ledger to create new and imaginative works for quartet and voice inspired by artworks exhibited in Scratching the Surface: A selection of works from the Janet Holmes à Court Collection. 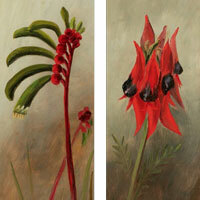 Image: M.E Creeth, (left-right) Anygozanthus Manglesii, Kings Park Kangaroo Paw; Acanthus Formosos, Sturt’s Desert Pea (detail), c1898, oil on academy board, 31 x 12 cm, Janet Holmes à Court Collection. 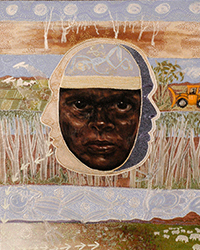 In the 1990s, Anne Brody curated three international touring exhibitions of Aboriginal art for the Janet Holmes à Court Collection — Utopia-A Picture Story 88 batiks on silk (1990, Ireland and Europe); Contemporary Aboriginal Art. A Selection (1990, USA and Australia); and Stories. A Journey Around Big Things: Eleven Aboriginal Artists (1994, Europe). 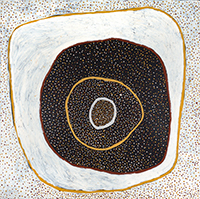 All three exhibitions included paintings by Emily Kame Kngwarreye, whose work is strongly represented in the Janet Holmes à Court Collection. Recently, Darren Jorgensen of the UWA School of Design co-edited Indigenous Archives: The Making and Unmaking of Aboriginal Art (UWAP, 2017), which he says aimed to “deepen our knowledge of where the Aboriginal art movement came from”. Join Anne Brody and Darren Jorgensen in conversation as they explore Emily Kame Kngwarreye’s beginnings as a member of the Utopia Women’s Batik Group, and her subsequent rise to prominence as an internationally celebrated painter. Led by Dr Vanessa Russ, Associate Director of the Berndt Museum, this tour invites you to look closely at the works on display and discover more about the stories behind the art of Millingimbi Island. 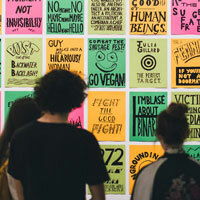 In this talk, Robin McClellan will explore the ways in which art can be utilized as a galvanising tool to provoke thought leadership, by challenging and encouraging discussion whilst also evoking emotional connection to social issues and new ways of being. 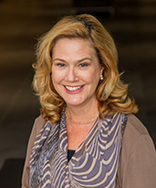 Robin McClellan is the Chief Executive Officer of Leadership WA. Prior to this role, Robin was the Director of Minerals Research Initiatives at Curtin University. Before that she was based in Singapore as ExxonMobil Corporation’s Senior Advisor for Asia Pacific Government Relations. 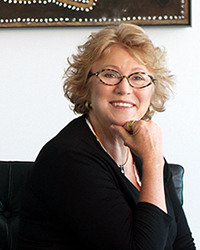 Robin first lived in Perth from 2004 to 2007 when she served as the US Consul General during her 24-year career in the US diplomatic service. Robin was born and educated in the US, has also lived in the UK, Austria, India, Mexico, Indonesia, Malaysia, Papua New Guinea, Singapore as well as Australia. Talking Allowed is a series of presentations offered by the UWA Institute of Advanced Studies and the UWA Cultural Precinct, where a UWA academic or prominent member of the community gives a short presentation on a topic of current relevance with a lens of arts and culture before inviting the audience to participate in the discussion. Join Janet Holmes à Court and Alan Dodge in conversation as they take us through the marvellous collection of artworks in Scratching the Surface: A selection of works from the Janet Holmes à Court Collection at LWAG. Hear the stories that framed this collection and influenced their selection for this exhibition, along with art historical insights about the artists and their works. Use modern make-up to create your own self-portraits. Did you know that many of the earliest pigments used to paint with, were first used to decorate our bodies? Let?s see how we can use modern make-up as a palette and create our own self-portraits. If you can apply a decent foundation, you?re already on your way to painting a great portrait. 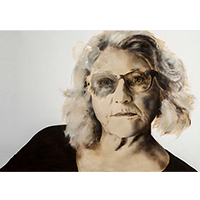 View the portraiture exhibition The Likeness and join us in this two hour workshop to learn some tips and tricks from professional artist Elizabeth Marruffo. All materials provided. Participants will need to bring with them a printed A4 `selfie? photograph. 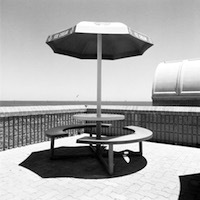 Join us for an innovative touch and audio descriptive tour of ?Kevin Ballantine: Photographs 1986 ? 2001 and HERE&NOW17: New Photography. Audio Description enhances visual art for people who are blind or vision impaired. A trained Audio Describer delivers a verbal description of the visual elements. This tour will also include various tactile 3D-printed translations of the artworks on display. 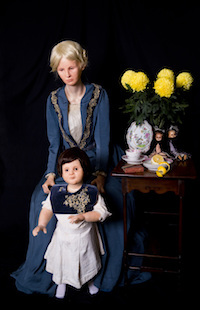 The Likeness is an exhibition drawn from the Cruthers Collection of Women's Art and curated by Gemma Weston. 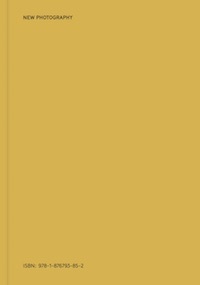 It is a partial survey of 100 years of Australian portraiture, reflecting how artists have utilised the genre to explore ideas of self-determination, identity and the changing - or unchanging - role of art in society. Join Gemma for an in-depth examination of the collection's take on women's portraiture, and a close look at key collection works. Culture Jamming is defined as a movement that mixes politics with graffiti, and satire with paint. Said by some to scramble "... the signal, injects the unexpected, and spurs audiences to think critically and challenge the status quo", this presentation, by Professor Camilla Baasch Andersen, UWA School of Law, and artist Desmond Mah examines a new way for law and visualization to intersect. Camilla and Desmond will showcase some of the many artistic works produced by artists and children to protest the recent proposal to relocate Perth Modern School to an inner-city high-rise, as well as jamming sites which promote racial equality, and ask the question: Is this controversial way of visually expressing public resistance and opinion effective in influencing legislation? Should it be? `Talking Allowed? is a new series of presentations offered by the UWA Institute of Advanced Studies and the UWA Cultural Precinct, where a UWA academic will give a short presentation on a topic of current relevance to the arts and culture before inviting the audience to participate in discussion. Image: Culture jamming at Perth Modern School. Join us for an engaging tour of the new photography exhibitions, Kevin Ballantine: Photographs 1986 – 2001 and HERE&NOW17: New Photography, designed to connect participants living with dementia in a shared exploration of art through personal insights, emerging interpretations and memories. Join us for the book launch of HERE&NOW17: New Photography documenting the artwork exhibited at the Lawrence Wilson Art Gallery. Curator Chelsea Hopper will be in conversation with Dr Darren Jorgensen (UWA School of Design and Centre for Rock Art Research and Management) discussing the book and the exhibition. HERE&NOW17: New Photography centres on contemporary Western Australia artists working with, or at the margins of photography; on show until 8 July 2017. Image: Book cover of HERE&NOW17: New Photography. Contemporary photography spans a huge range of disciplines, from fine art to photojournalism, archival documentation and much more. Discussing everything from risk-taking in photojournalism, to creative conceptual installations that are studio based, photographers Claire Martin, Graham Miller, Kevin Ballantine, and curator Chelsea Hopper will address current issues in contemporary photography. Slow your day down by joining us for a different kind of art gallery tour. Much like a mindfulness exercise, where you focus on your breathing, in this tour you allow your mind to settle on selected pieces of contemporary art. Each viewing will be themed differently and will be followed by an informal discussion. You can choose to drop-in for one session, or attend all the full 4-week program. This series is presented by the UWA Health and Wellbeing department in in collaboration with the Lawrence Wilson Art Gallery. Dates: Wednesdays, 24 May, 31 May, 7 June, 14 June, 12 - 1pm (You can choose to drop-in for one session or attend all 4 weeks). Experience the art of medicine at this exhibition of photography from the WA Medical Students’ Society. 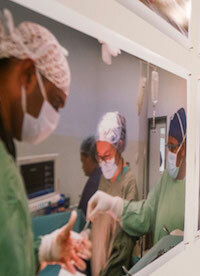 See photographs highlighting important global health and sociocultural issues, taken by UWA medical students who have sought out unique opportunities in far-flung places. Hear Stewart Scambler, one of WA’s leading potters, shed light on his practice from the selection and processing of naturally occurring local clay though to the ring of works in his Palmyra and York kilns. 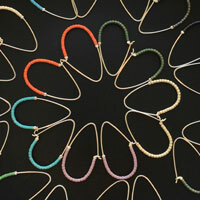 Stewart’s work will also be available to purchase in store at this event. Over the last two years and with the rise of the citizen photographer, there have been radical changes in how we respond to photographs and images, particularly those that reveal unimaginable suffering. Whether it is a photograph of the lifeless body of Aylan Kurdi washed ashore near the Turkish resort of Bodrum, the images of Dylan Voller spit-hooded and shackled to a restraint chair, or the photograph of the Muslim woman amidst the carnage on Westminster Bridge, images appear to have acquired a new status in their capacity to prompt indignation and action. 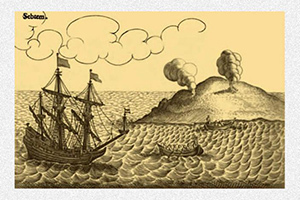 Which images can we say have changed the course of history? And what makes an image powerful at a particular moment? In her talk ‘Seeing Allowed?’, Professor Jane Lydon (Wesfarmers Chair of Australian History) will speak to a number of issues that surround images of suffering. While it would seem that in 2017 photographs and images are becoming central to socio-political and ideological tensions, Professor Lydon will explore whether or not real change can be wrought by harrowing images of suffering. ‘Talking Allowed’ is a new series of presentations offered by the UWA Institute of Advanced Studies and the UWA Cultural Precinct, where a UWA academic will give a short presentation on a topic of current relevance to the arts and culture before inviting the audience to participate in discussion. Curator Sally Quin will join Kevin Ballantine in conversation about his works in the new exhibition Kevin Ballantine: Photographs 1986-2001. 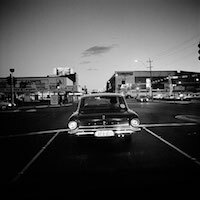 Hear Kevin’s views on street photography and his own approach to documenting the changing face of Perth over an extended period, with images that have captured both the banal and spectacularly beautiful. Join curator Chelsea Hopper and local artists Dan McCabe and Georgia Kaw as they discuss their works of art and the framing of the exhibition. Hear about how New Photography seeks an expansion of photography in order to shape new, formerly unimaginable relations between art and the larger cultural sphere. Join us for the opening of two new photography exhibitions. HERE&NOW17: New Photography curated by Chelsea Hopper features newly commissioned work from WA-based artists Jacqueline Ball, Scott Burton, Lucy Griggs, Georgia Kaw, Dan McCabe and Lydia Trethewey. Kevin Ballantine: Photographs 1986 - 2001 curated by Sally Quin is a 15-year survey of Ballantine’s practice, capturing the urban landscapes of Perth and Fremantle. 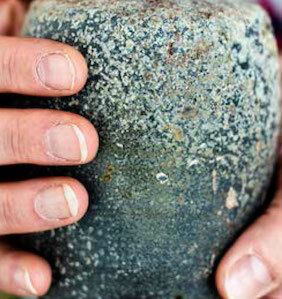 To be opened by Max Pam, Honorary Lecturer, School of Arts and Humanities, Edith Cowan University. Register below to attend. Light refreshments will be served. In 2016, Bill Leak's controversial cartoon generated widespread debate about free speech and racism in Australia. Following Leak?s death on March 10, and in light of proposed amendments to Section 18C of the Racial Discrimination Act, those debates have resurfaced and intensifed. In her talk, `The Arts, the Law, and Freedom of Expression (with one eye on that cartoon)? 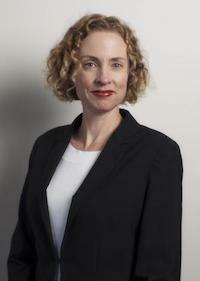 Jani McCutcheon from the UWA School of Law will speak to a number of ethical and legal issues that underpin the complex relationship between the arts, the law, and freedom of expression. Cate Hayes is an artist, illustrator and author of literary fiction and stories for children. 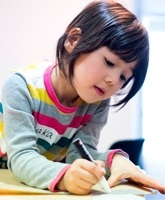 Join her for a family-friendly session of fascinating and fun-filled art activities to create jewellery, write a story of magic, and contribute to decorating a community robot. Registrations aren?t required, but as workshop spaces are limited to 20 at any one time you may need to wait for others to finish. Register: FREE event | Drop-ins. Spaces limited. 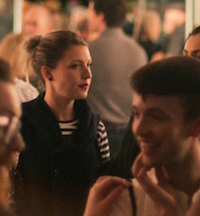 Take a more contemplative approach to art by joining us for a gallery tour with a difference. 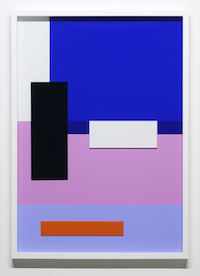 Much like a mindfulness exercise, where you focus on your breathing, in this tour you allow your mind to settle on selected pieces of contemporary art. Each viewing will be followed by a facilitated discussion of your own subjective observations. This event is part of Slow Art Day, celebrated internationally on 8 April. Feminism has been one of the most durable political-ethical platforms of the 20th and 21st centuries ? so much so that we speak of first-, second- and third-wave feminism and its impact on society and on academic scholarship throughout the world. 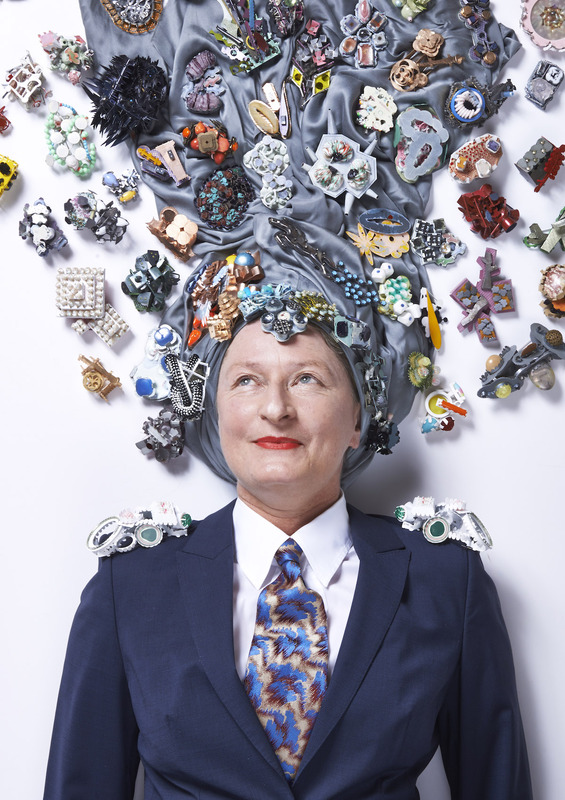 In her illustrated talk, Anne Marsh will look at contemporary art and feminism and give an overview of `the waves? and the political and theoretical issues that have compelled artists and writers in the field. 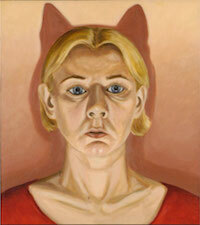 Anne Marsh is a Professorial Research Fellow at the Victorian College of the Arts, University of Melbourne. This is part of her new ARC Discovery project that involves various publications. 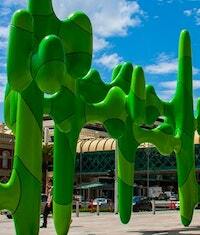 Whilst in Perth, Anne will be conducting workshops with artists to gain their input into the project. Image: Kelly Doley, Things Learnt About Feminism #1 - #95 (detail). 2014. Ink pen on 220gm fluorescent card. 60 x 52cm (95 pieces). CCWA 956. 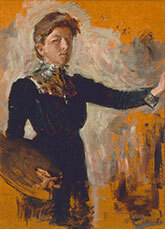 Cruthers Collection of Women's Art, The University of Western Australia. ? Courtesy the artist. In this talk Nicholas Jose reflects on the transformation of art in China across the last 30 years. In parallel with the political and social changes that saw China become a global economic powerhouse, a new kind of art emerged, mixing self-reflection, celebration and critique. The conversation explores this phenomenon from the perspective of someone who was closely involved from the beginning, including through the key year, 1989. Join us for the Audio Described Tour of Helen Britton: Interstices. Audio Description enhances visual art for people who are blind or vision impaired. A trained Audio Describer delivers a verbal description of the visual elements. This tour will also include some test-case tactile 3D printed translations of the artworks on display. Community Partner: DADAA and UWA Maker Lab. Inspired daily by the beauty of her local bushland, Perth jeweller Donna Gahan has a strong interest in the effect of architecture on the human psyche, and the relationship between the natural and built environment. Another recurring theme in her work is the many layers of our emotions and our lives, and how to explore and understand these to create balance and harmony for ourselves and others. Join us to hear how Donna goes through the process of creating her stunning jewellery, some of which will be available to purchase.